25 bonus spins up to 50 spins for a deposit of £50. 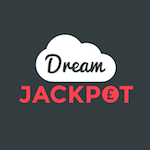 For each £2 deposited you get 1 spin. These extra rounds are valid only on Lights. The bonus needs to be wagered 35 times before a withdrawal can be initiated. The winnings obtained from spins are capped at £50.